We supply high efficiency, top quality built products known for dependability and quiet home operation. We sell, install, service and repair all our own products and all other brands as well! In addition to supplying high efficiency, top quality built products, McMillan Refrigeration, Heating & Air Conditioning is committed to providing you with the resources to make the most informed decisions. With a host of helpful hints and information please click on the links below for articles, product information and the best way to get the most from your heating or cooling system. We handle commercial heating systems for a wide variety of commercial operations. You should check your air filter every month, particularly during winter and summer peak months, and change your filter at least every three months for optimal service, as dirty filters make your system work harder and waste energy. Much like your car needs annual maintenance checks, so does your heating and air conditioning system. Set your thermostat at a higher temperature (during cooling season) or lower temperature (during heating season) while you are at work and then program it for a more comfortable temperature in time for your return home. Seal and repair leaks in your duct system to achieve better efficiency. 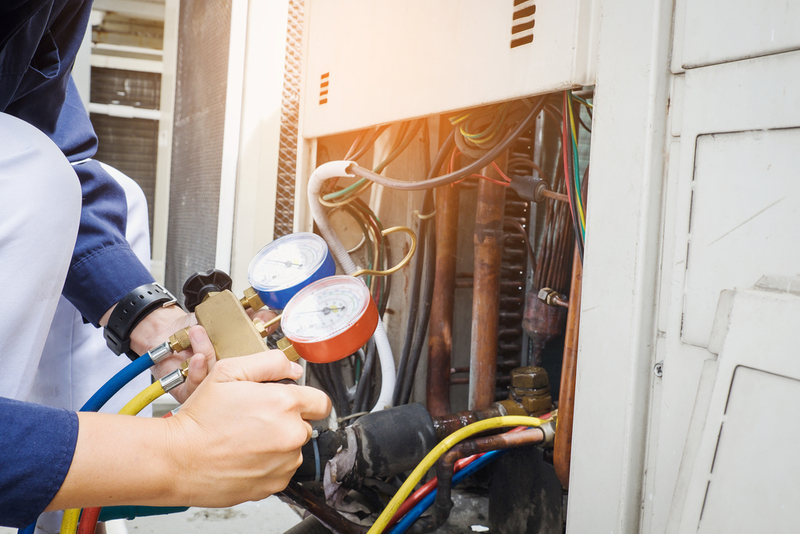 Have your system serviced at least twice a year by a licensed professional, in the spring and fall. Ask your friends, family, neighbours and coworkers for referrals before deciding upon a contractor for your heating and cooling needs. Good word-of-mouth and a sound reputation can be your best indicators that the company will provide you with the professional service you require. Find out about all local and national requirements, including licenses and insurance information to make sure whomever you hire meets the proper conditions. Before you begin calling contractors, familiarize yourself with your current operating system and its maintenance history so you will feel comfortable with asking – and answering – questions about it. Ask for references from the contractors and be sure to call them. Reputable contractors should be able to provide you with a healthy list of references as well as credentials. When comparing proposals, this will make it easier for you to compare bids, warranties and costs. Make sure you take into consideration both quantitative and qualitative components including overall cost-efficiency and performance to select the company that will get the job done best to meet your needs.